The Occupational Safety & Health Administration (OSHA) requires most employers to have comprehensive written safety & health management programs. SafeDay Inc. has years of experience developing professional, comprehensive corporate or project/site-specific Safety & Health Management Programs designed to comply with the OSHA regulations and tailored to fit your business. 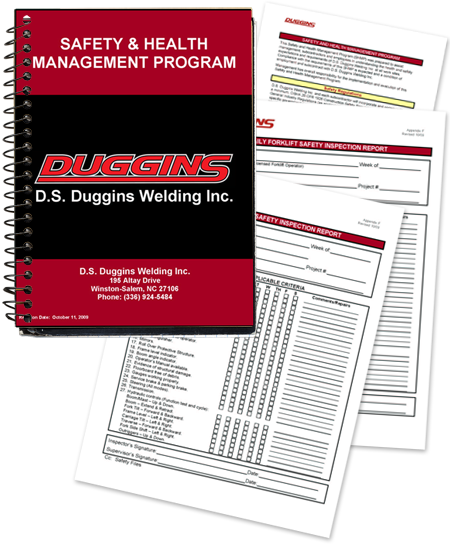 Site Safety Inspection Checklists & Report Forms Much, much more! A sample of material that your company will receive.